Whether you’re hanging out with me at a tailgate, grabbing lunch together at a bar, or just kicking it in my backyard on a random afternoon, you’ll probably hear me spreading the gospel of the bloody beer to anyone who will listen. The two-ingredient beer cocktail can’t be beat for a lazy round of day drinking—but sometimes a gal wants to get a little fancier than just beer and tomato juice. Despite the basic ingredients, there’s no one standard way to make a michelada; recipes are as varied as the people shaking them up. If you’re keeping an eye out on brunch menus (its natural habitat in the U.S., it seems), you’ll see them done every which way—some with spicy salt rims, some with beef bouillion or Maggi seasoning, some with salsa or Clamato instead of tomato juice, some with no tomato juice at all. (There’s a recipe in the Tippling Bros.’ book A Lime and a Shaker called a Tikimich, combining pineapple, lime, and serrano, that I obviously need to make posthaste.) For my take on the drink, I add a touch of chipotle powder for smoky heat. Traditionally, beers that are crisp but mild in flavor with less pronounced hoppiness or maltiness do the best when pairing with this bold and spicy mix. 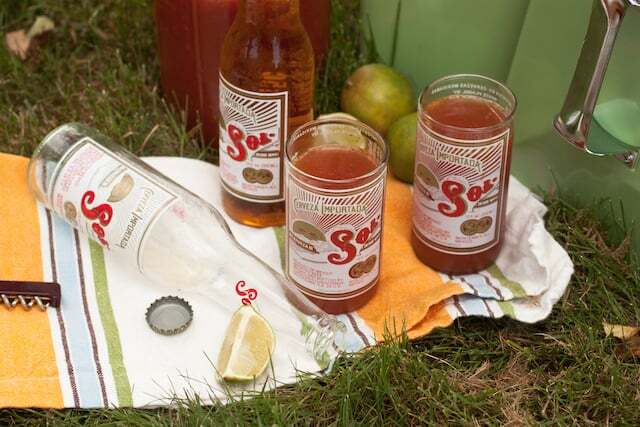 Mexican Pilsner-style lagers like Dos Equis, Sol, Pacifico, or Tecate always do the trick—they have a little sweetness from the use of corn as an adjunct grain in brewing, but cut through the salty blend without creating any dissonance in taste. Plus, lagers are always fermented at colder temperatures than ales, retaining a cleaner, crisper bite than their warm-fermenting counterparts. However, that’s not to say you can’t play around and try pairing some less-than-usual beers with the mix. Flying Dog’s Dead Rise, brewed with Old Bay seasoning, works here as well as a gussied-up bloody beer add-in. Rauchbiers—German beers made with smoked malts—add a little bit of campfire realness; try any of the offerings from the renowned Aecht Schlenkerla brewery. The recipe that follows is a pretty powerful concentrate meant to be mixed with icy beers on hot days. It’s an ideal make-ahead drink for picnics and outdoor gatherings—just mix it in a lidded container like a half-gallon mason jar and store in the fridge until you’re ready to pack up and go. A tiny hit of chipotle powder is all you need to turn these into smoky micheladas; adjust to your taste or try out smoked paprika for a slightly different tack. Again, there’s no “right” way to make a michelada; the perfect michelada is the one that tastes most refreshing to you. Stir the tomato juice, hot sauce, lime zest and juice, chipotle powder, and cayenne pepper in a 2- to 3-quart pitcher or half-gallon mason jar. Refrigerate up to 1 week before serving. 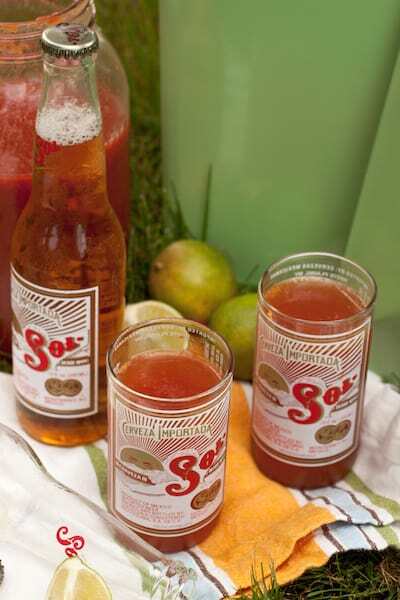 To serve: Throw a handful of ice into a pint glass or other large cup, then pour a 12-ounce beer and about 1/2 cup michelada mix—or more or less to your taste—into the glass. Stir well and drink up.